I don't know about you but if there's ever a time of year, I need to run, it's December! 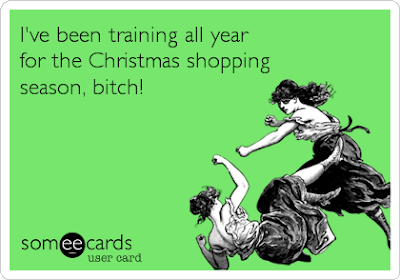 Every year I say I'm going to start preparing for the holidays much earlier but it never happens. Coupled with my job in healthcare where we work holidays plus it is the cold and flu season, there's not a lot of downtime. Heck, here I am blogging when I should be wrapping presents. I ran this morning when I should have been doing my last minute shopping. But I just know that if I don't move and get my heart rate up, something's going to suffer. 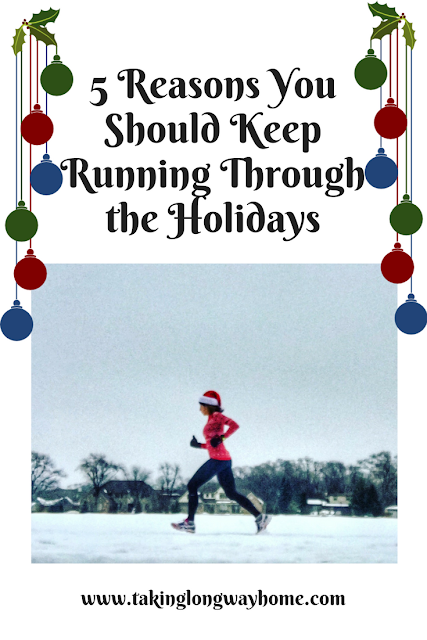 Here are 5 reasons you need to keep running through the holidays!! Most of the year, I think we runners keep ourselves eating pretty healthy. But this is the time of year when so many of us indulge as we graze at the troughs of highly caloric foods. Cookies are my kryptonite. Poor Santa. He's on target to gain 400,000,000 pounds (source). The average American gains 5 pounds over the holidays. Nope. Not happening. We're not average. We're runners. Run on. Everyone's got that "one" family member... am I right? The loose cannon? The one that you don't even set a place for because you can't count on them showing up? Or maybe it's someone who gets offended at the most random comments. Maybe it's a relative who has the need to make inappropriate comments about politics, your clothing, your relationship (or lack thereof), your fitness habits...whatever. When it comes to getting together with family, I feel like running is my secret weapon. I go in, armed and ready. I ran today. Go ahead punk. Make my day. I'm ready for whatever you throw at me. I am calm. I am zen. Works like a charm. This is the busiest travel season of the year and like the mall, the airports are crowded. There's weather, right? Flight cancellations and delays? Running from terminal to terminal to make connections? Don't be that person who gets to the gate only to see the plane pulling away from the gateway. If you're a runner, you're on that plane. Because you have been doing your Yasso 800s and you've got speed in those legs. You visualize the gate as the finish line. You've got this! My mother-in-law was an epic shopper. She'd hit Black Friday and wrestle people to the ground to get the items she wanted. Ok, maybe that's an exaggeration, but she was a great gifter. Nowadays, people are relentless when it comes to grabbing the bargains. The malls are packed and if you are on a mission, you need to be able to weave through the crowds, much like at the start of a big race. You have to train for that, people! You need stamina and endurance. Running is a huge stress reliever. A new study recently released demonstrated the positive effects physical activity has on stressful situations. While runners don't need research to prove what they already know, it's nice to have our experience validated. Plus, who doesn't enjoy a little infusion of endocannabinoids? Happy Holidays! Keep on running, my friends. Do you keep on running through the holidays? Or do you take some time off? Tell me about your odd family member! Are you a shopping rock star? I'm running as much as I have been this year (which isn't much) but I'm definitely looking forward to some runs over the holidays when I can catch some sunrises. It's cycling I'm doing less of since that takes more primetime out of my weekends. Enjoy your morning runs! And Merry Christmas!! We actually don't have *that* family member. Even my SIL's ex-to-be, while an odd guy, we all got along with him (except for my SIL, eventually, of course). Usually I keep running. I was sidelined this week with some mild flu-like symptoms. Not enough to feel really bad, thankfully, but enough to know I needed more rest & I'm taking it. I think I'll still manage 3 runs this week (got in 2, it was the second one where it totally hit me -- it was horrible!). Have a very merry Christmas, Wendy! Ha! I love any opportunity to use Griswald family GIFs! You know I keep on running through the holidays (and all through the winter....outside, none the less). I have that streak to finish out, after all ;-) Unfortunately, my mom is that "one relative." She takes offense easily, and is usually the one saying inappropriate stuff. (womp womp) My MIL was another one when she was around LOL Best wishes to you for a festive Christmas!! Right? It's why we need to keep moving. 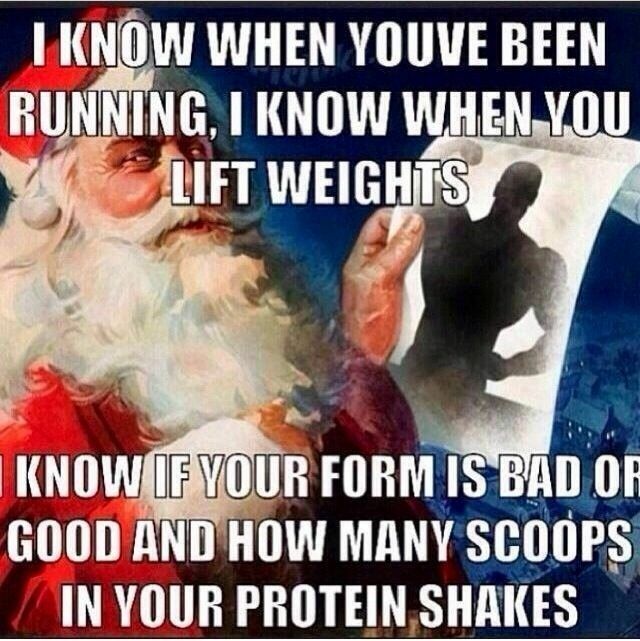 I think this is the hardest time of year to continue your fitness regimen. With the holiday parties, festivities, and all the yummy food that comes with those. I haven't been doing too bad since I am trying to do the running streak. But if I wasn't, I know for sure there would have been a few days I would have said no to running. Seriously, if I didn't run, I'd be drinking heavily! I definitely use running during the holidays to relieve stress! This morning I did my long run and I felt like I just ran off all the stress the month (so far). Now that Im done with work, I need to focus on the actual holidays and traveling thats coming up. Im sure there will be plenty more miles to get my through that over the next few days! Enjoy those runs and your holidays! I LOVE these tips. I definitely run through the holidays and try to stay as active as I can. Like you said, dealing with THAT one family member drives me up the walls so working out makes it a bit more tolerable. We are all on pins and needles wondering if our "one" family member will show up! So true! I feel like running is a nice escape from the stress of the holidays :) And a good excuse to take a step away form family when needed. * Ding, DONG * (my reference to Christmas Vacation when all the relatives show up at the door!). All great tips! I love your title pic, btw. I'm not running as much this Christmas (no January marathon) and I'm more stressed. Go figure. It's funny how that happens! We've got a hilly half coming up so there's no slacking here! Have a fabulous day Wendy!!! I definitely keep running/cycling through the holidays. Especially when we're with family! We're on our own this year, we reached a place where we travel so much if people want to see us they need to stop expecting us to do all the travel (roads do go both ways, don't you know!) When I finally stopped trying to please everyone I started enjoying the holidays a lot more. 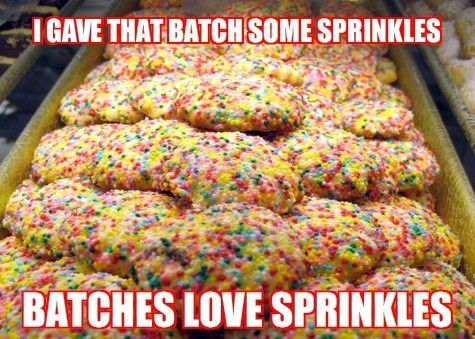 That meme with the sprinkles made me LOL! I definitely run/workout to burn off the crazy during the holidays. I feel like there is SO much to do and it can get overwhelming. Getting in a run, even a short run, is always appreciated! I definitely indulge a bit more than usual during the holidays. Thank goodness for running and fitness overall to help make sure that I don't gain too much extra weight. Who doesn't overindulge this time of year? "Tis the season. Yeeeeeup, nailed it! I started cycling just yesterday because all the stress is becoming too much for me! I find cycling in the trainer to be way better than the treadmill, personally. Let me know if you need me to hook you up with some workouts! I totally agree with all of this. 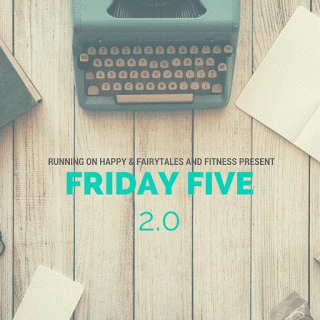 The holidays are the best time to run because people are generally in a good mood when you run by them, and the extra time off work means running when it's light out instead of dark. These are all really great reasons to keep running through the holidays! (Especiallyyyyy the food!) I haven't been able to do as much lately because hospital service has been really draining, but hopefully soon! Yes, ma'am, I run through the holidays! I couldn't imagine not.